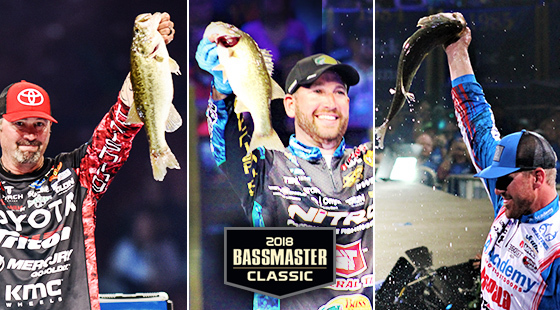 Congratulations to back-to-back Bassmaster Classic Champion Jordan Lee, who caught several of his key fish on a VMC® weedless Neko Hook. To get those bites, he skipped a Neko-rigged soft-plastic stick worm on a VMC® weedless Neko Hook. Neko Hooks helped several Rapala® pros to high finishes as well. Of the top 10 finishers in the 52-angler field, three represented Team Rapala®. 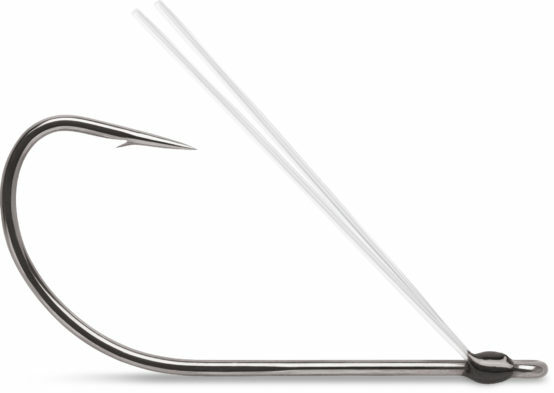 Neko Rigging, a modern upgrade on “nail” rigging, entails inserting a specially designed, thin metal weight in one end of a soft-plastic stick worm. Ribs on the weight anchor it in place. Rapala Pro Jacob Wheeler, who finished seventh with three five-fish limits weighing a combined 42 pounds, 13 ounces. He caught some “key fish” wacky rigging with a No. 2 Weedless Neko Hook. “The big deal with the Weedless Neko was that it allowed me to be able to fish docks with brush around them without getting hung up,” Wheeler explains. Fishing in his first-ever Bassmaster Classic – and in only his third year on the Elite Series – Rapala Pro Seth Feider was pleased to make it to Super Sunday, when the field is culled down from 52 to 25 anglers. He finished in 18th place with 38 pounds, 15 ounces. He caught many of his Classic bass wacky rigging with a Neko Hook. “I get such a good landing percentage with the Neko Hooks, I use them not just for Neko rigging, but also for wacky rigging and drop-shotting,” Feider says. “The diameter gauge on it is perfect, it’s super sharp and it’s got that little offset bend to it, which is key,” Feider says. Feider also found success in the Classic with a Terminator Popping Frog. “By varying retrieve cadence and how much slack you give it on the stop, you can make a Popping Frog attract fish in different ways,” Feider says. The Popping Frog features a custom VMC frog hook, round-rubber legs, a heavy-duty welded line tie and lifelike detail from nose to rear. It is tail-weighted to increase casting distance and stability on the retrieve. The body extra soft, easily compressing when bass bite them to increase your hook-up ratio. An ability to shed water between casts is another feature that sets apart Terminator frogs. A water-logged frog is hobbled by added weight and unbalanced action, throwing off its cadence and causing big bass to take a pass. Popping Frogs feature a drain hole to clear out any collected water before every cast. The Terminator Popping Frog measures 2 1/2 inches, weighs 9/16 ounces and comes in 16 color patterns: Hot Shad, Bluegill, White Camo, Black Camo, Cocoa Camo, Hot Mud Camo, Brown Camo, Yellow Leopard, Lime Leopard, Green Leopard, Hot Chartreuse Shad, Smoke Silver Shad, Bull Frog, Ghost Pearl, Ghost and Black Chartreuse Leopard. Rapala Pro Ott DeFoe placed sixth in the Classic with 42 pounds, 13 ounces. Some of his key fish came on a Terminator’s T-1 Original Titanium Spinnerbait, a bait he loves throwing in the spring, especially around flooded bush and grass, which was abundant on Lake Hartwell. It features unbreakable titanium construction, a premium ball bearing swivel and a premium VMC® hook. 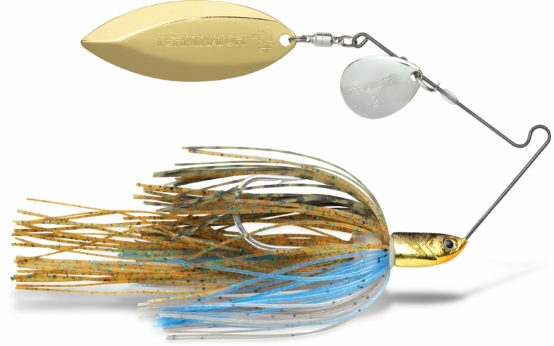 Additional features include: painted, gold or nickel-plated, bevel-edged blades; super realistic metallized baitfish head; and QuickSkirt changeable premium silicone skirts. Rounding out the top 10 for Team Rapala was Gerald Swindle, who finished 10th with 42 pounds, 2 oz. Brandon Palaniuk finished 22nd. Iaconelli finished 38th. Congratulations to Jordan Lee, I use the Neko Weedless hooks quite a bit. My favorite lure for bass in the Midwest is the Countdown #9!